Aarhus in Jutland Denmark was named the European Capital of Culture for 2017. It was also named by Lonely Planet in 2016 as one of 10 European cities you should visit. 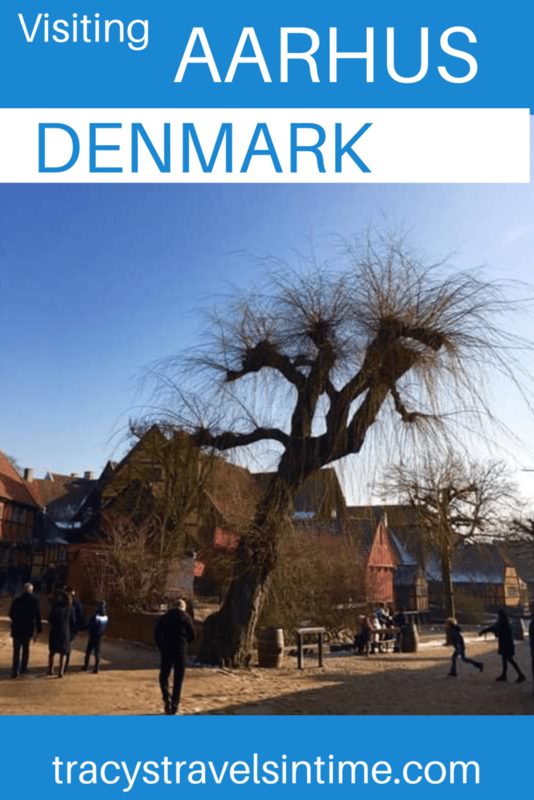 While Denmark is often cited as the happiest country on earth Aarhus is apparently THE happiest place in Denmark so why not go and see what it is that makes these lucky people so …well….happy!!!! 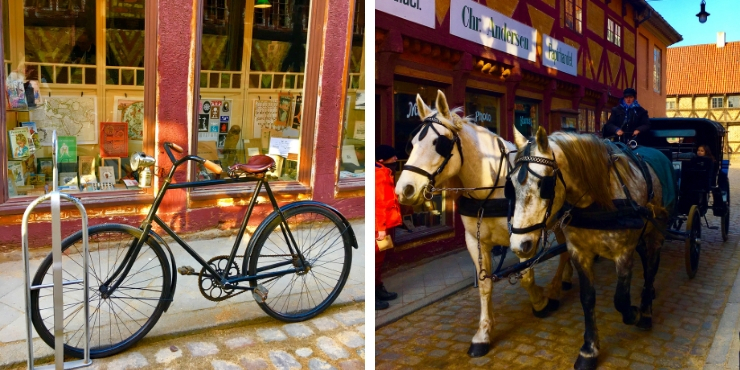 You can see Danish life depicted through living history displays – pre 1900’s, the 1920’s and my favourite the 1970’s!!! It was like going back to my childhood – my friend’s children had great fun playing with the dial up telephone and typewriter!!!! This museum is great in that it focuses on the daily lives of normal Danish people throughout history. It is definitely one of my top recommendations of things to do in Aarhus. It was great to learn all about the Danish way of life over the centuries. ARoS is the main art museum in Aarhus. I took this photograph of the Your rainbow panorama on the roof of the building. This is a circular glass walkway that gives fantastic views of the city. It is an artwork made by Olafur Eliasson a Danish/Icelandic artist. For more information about ARosS and the Your rainbow panorama check out the Visit Aarhus website. Marselisborg Palace is the Queen of Denmark’s summer and Christmas residence. I have been once but not when she was at home! When she isn’t in residence her rose garden and the Palace grounds are open to the public. When the Royal family are in residence you can enjoy the changing of the guard every day at 12 noon. The Moesgaard is a museum dedicated to telling the story of of human evolution and culture.The building in which the museum is housed is architecturally stunning and seems to grow out of the surrounding hills. See the museum’s official website for opening times and prices. Guided tours are available but must be booked in advance. Aarhus has its own theme park called Tivoli Friheden within walking distance of the city centre. For more information about the theme park check out the information on the Visit Aarhus website. The most popular way of getting around Aarhus is by bicycle. 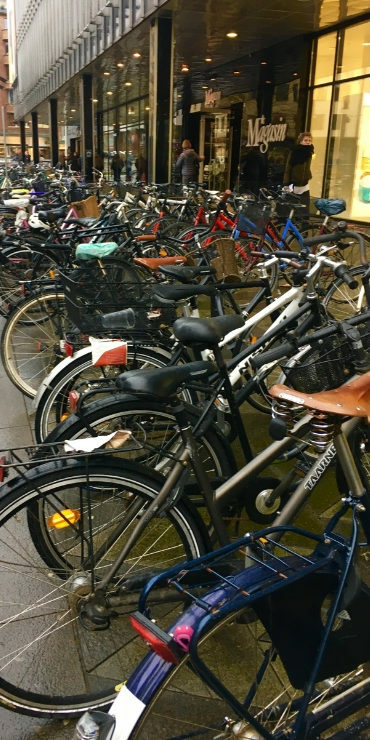 Aarhus is one of the best cities in the world to travel around by bicycle. 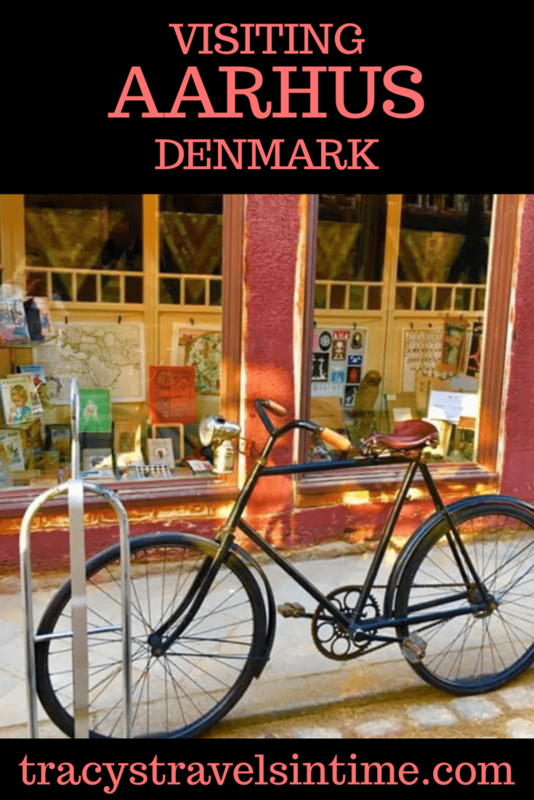 In fact you will see many people young and old on bicycles in Denmark and hiring one for your holiday will not be difficult. You can hire a bicycle from bikes4rent or you can rent a bicycle at Cycling Aarhus or join one of the guided tours. 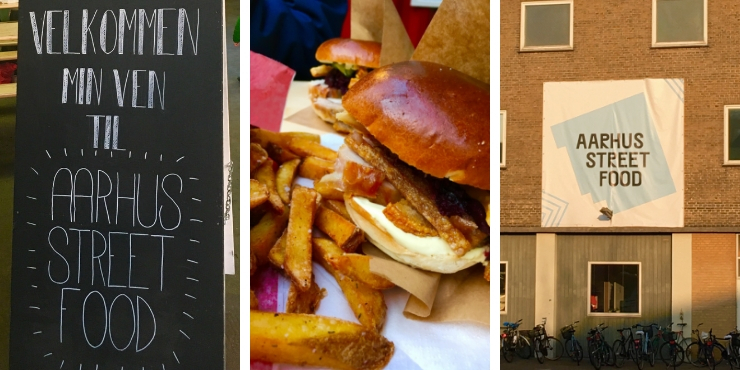 Well Aarhus is home to a number of Michelin starred restaurants but it is also home to Aarhus Street Food. No prizes for guessing where we went for dinner!! And if you are really lucky and know some Danish people you can try some of their national dishes including mørbradbøffer and other delicious food I can’t even begin to pronounce. We had a really lovely meal at my friend’s Mum’s house! There are lots more things to do and see in Aarhus – we will be back! 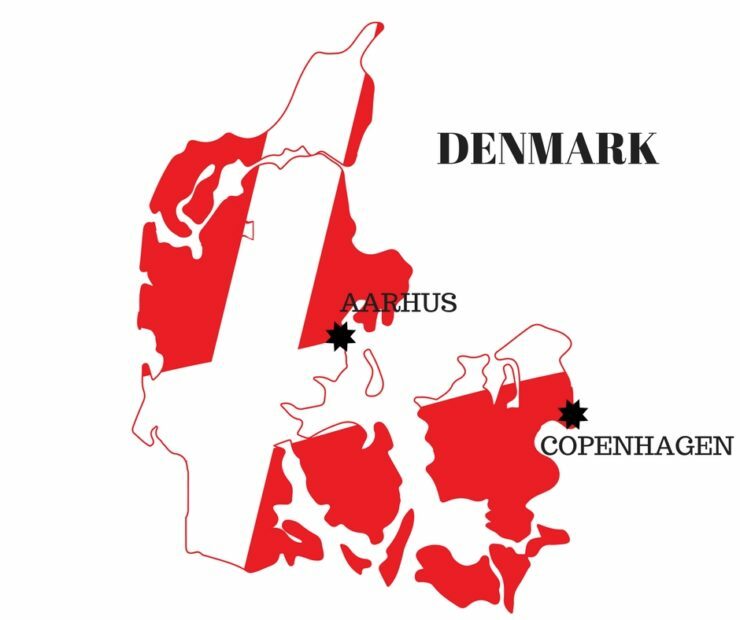 If you want to know more the official website VISIT AARHUS will have the information. There you can find out about all the top attractions in Aarhus as well as some of those Michelin starred restaurants in town! There is also an AarhusCARD available which is worth looking into if you are planning to visit! This can be bought on-line and gives you free admission to more than 25 museums, attractions and activities as well as free transportation on all Midttrafik buses and on Letbanen light rail as well as shopping discounts across the city. We travelled by train to Aarhus from Copenhagen. It took 3 hours and was a very pleasant trip. If you want to book train travel in Denmark I would check out the Danish Railways website. As always I would also say to check out seat61 – I plan no train travel at all without consulting that website first! Yes its all happening this year – great time to visit! 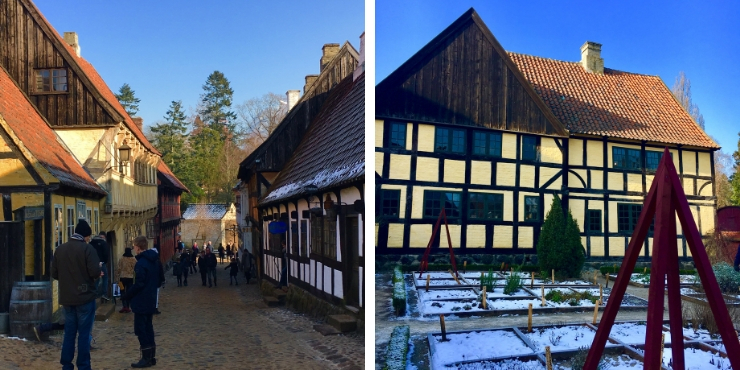 I’m embarrassed to say I’d never heard of Aarhus before – thank you for sharing! It looks like a very pretty and interesting city. 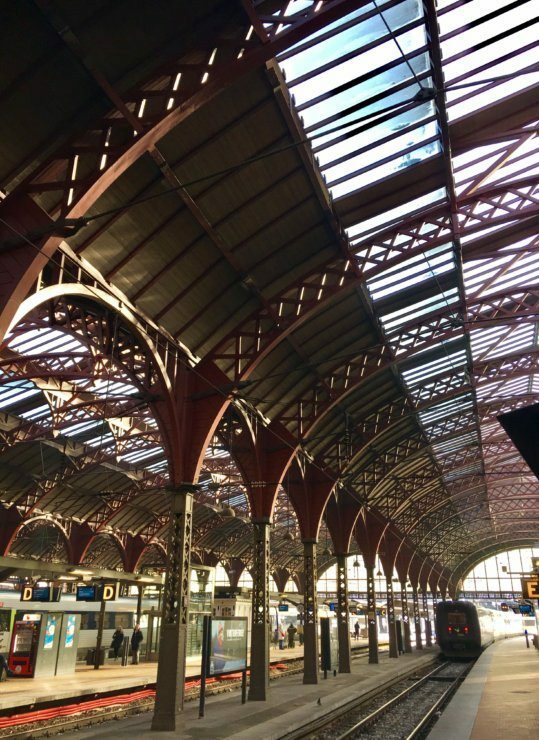 Thanks Ting – definitely a city to visit in an amazing country too! A friend of mine recently moved there, and even though I knew about the whole capital of culture thing, I had no idea it was the happiest place on Earth! Reading your post only made me want to go more, I have to write her up now and see we can make that happen! I would be on the phone arranging a visit – if were around this summer we would definitely be heading back! The city looks great for history buffs. What else is there to do for adventure seekers? 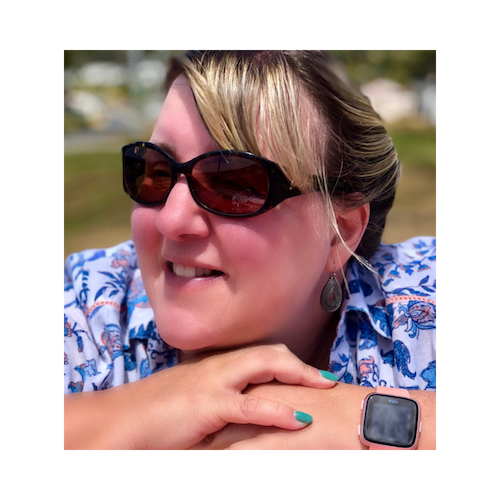 Lots Suzanne – check out the visitaarhus website! I’ve only been to Copenhagen but I really want to branch out and see more of Denmark. I had no idea this was being talked about so much but your photos have definitely convinced me to check it out! The street food building reminds me of the one in Copenhagen. The museum sounds fun too! I would highly recommend visiting more of Denmark – Skagen at the top of Jutland is beautiful too! Frankly I had never heard of Aarhus but the city looks amazing and I would want to know more about it. BTW i love your website layout. So clean and well organised. Your pictures are stunning. To be honest a lot of people haven’t heard of Aarhus but hopefully the focus this year on it as European Capital of Culture will get it some well deserved attention. It has a lot going for it – a really lovely place. Oh I too loved visiting Aarhus. Though I only got to spend 24 hours there as my younger sister was studying there. It’s such a beautiful city and your photos really capture that so well. Showing off why Aarhus is considered the cultural capital of Denmark! 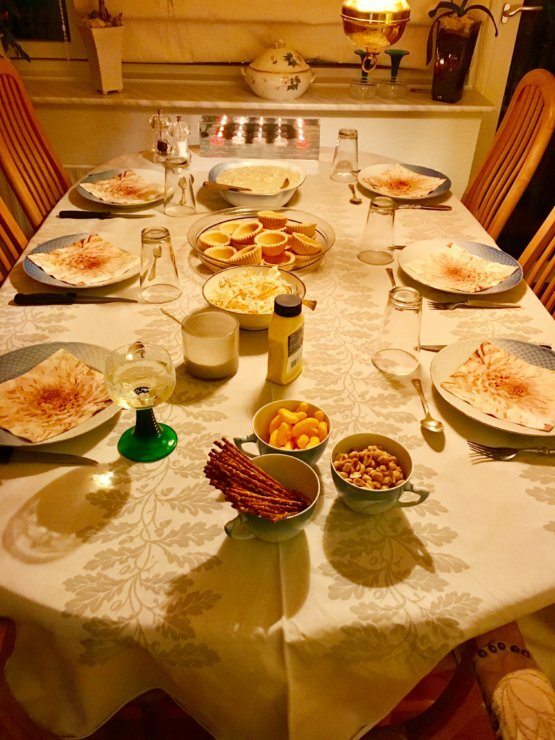 I only wish I had some Danish friends like you to try a home cooked meal with. I have never heard of Aarhus, nor did I know it was the happiest city in Denmark. 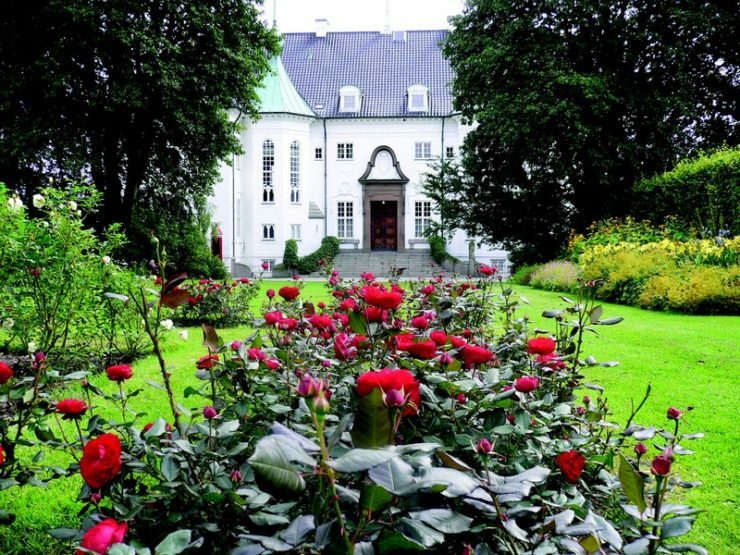 The Marselisbourg Palace looks stunning from your view of the roses. I will have to add Aarhus to my list of places I must see in Europe. Thanks for sharing. Indeed, Denmark is really a happy place! 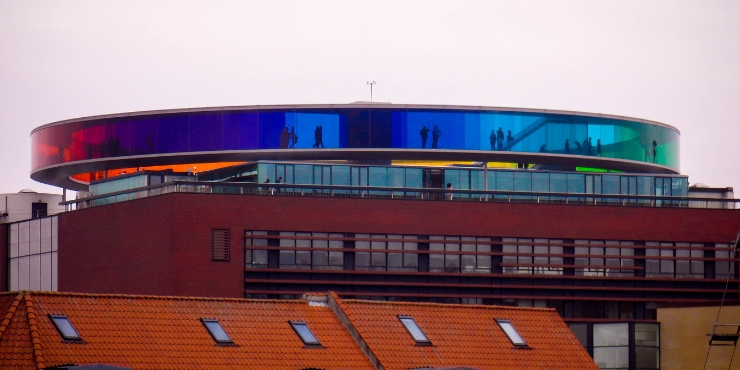 I would like to visit the Aarhus museum and see the rainbow panorama. I must try the local cuisine too. I’m currently binge-watching Vikings on Netflix so my interest in Scandinavia is sky-rocketing! This places is so picturesque and Momma’s Kitchen looks awesome. I didn’t realize it was the capital of culture this year. Def looks worth a visit! I have, to be honest, I have never heard of Aarhus before but it looks so nice. Cool fact that they are named the European Capital of Culture for 2017, I am definitely going to keen to go here and I know where I would go to eat Aarhus Street Food yummy. It is a great place to visit Mel! Add it to your list! I’m actually headed there next week! Haven’t really prepared much though so this is perfect!! Can’t wait to check out the open air museum and the food scene! Ah thats handy then!! Have a great time Van! Thanks Katherine – I agree about Denmark! You’ve convinced me! 😀 Visiting Aarhus is a great idea! 😀 I haven’t been to Denmark yet, but it looks like I ought to spend at least a weekend there. Thanks for introducing me to Aarhus. I just realized that before this post, the only Danish city I knew was Copenhagen. Thanks for popping by! Aarhus is a lovely city! Oh you’ve completely sold Aarhus to me! I love European cities and towns that seem like they’ve been untouched from the earlier centuries. And this looks like one of those with the architecture and all! I visited Copenhagen a couple of times many years ago, but hadn’t heard of Aarhus. If I make it back I’ll definitely add it to the itinerary. I think you did it the right way though, visiting a friend. I’m sure you got the local’s perspective. I have visited my friend a number of times and love Aarhus so was really pleased when it was awarded European city of culture for 2017. Hopefully more people will visit! It is a lovely lovely city – will be going again for a fourth time at some point! I know – I remember getting one as a Christmas present and also typing my Uni essays on one! Much easier these days with a computer!! Hi we were talking about Mary when we were in Denmark – she is very popular. I really love Denmark and am really happy I have a friend who is Danish to visit! Aarhus looks amazing and I have read many good things about it. Definitely would love to visit next time I am in Denmark and soak in all that culture! Would love to take a train trip like you did too! I definitely think this is a place you would really enjoy so I hope you get the chance to visit! Def take the train too! Oh yes that will be great – please let me know how you get on! 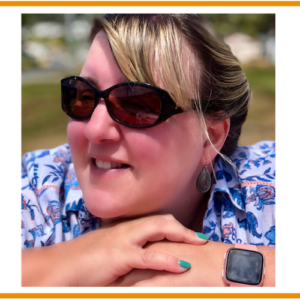 I really enjoy your blog by the way! I’ve never heard of Aarhus can you believe it?! Loved reading your guide, packed full of useful info and tips! will keep for reference, thanks! Love finding off the beat locations in Europe and this is such a great post. I have never been but will definitely put this on my already long travel list. And oh, those photos are stunning. Thanks for reading and leaving a comment – hope you get to visit Aarhus soon! The architecture looks incredible and the food looks divine. Sounds like such a fun place to visit!! I have never been to Denmark but its one city that is on my “to visit “list. I am going to bookmark this post for when we go ad its really useful with lots of tips. I honestly never thought about visiting Aarhus but see it advertised sometimes from KLM (flying from Amsterdam) – seems actually like a pretty good place to visit which is not Copenhagen!! 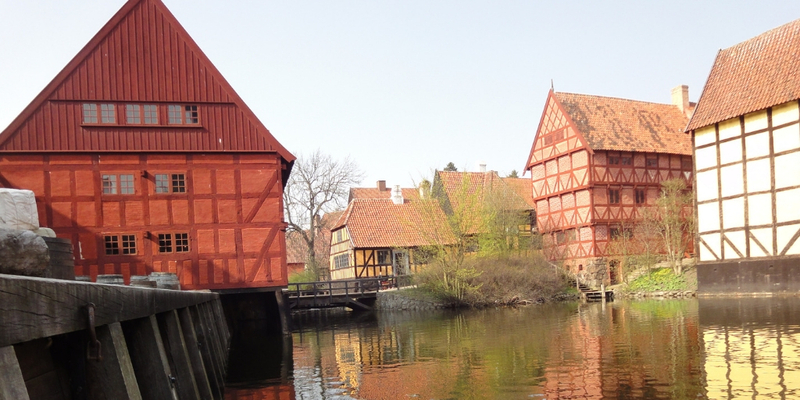 Book that flight Gabby and go and visit Aarhus – highly recommend it! I’ve never heard of Aarhis before, it looks a lovely though. What were the national dishes at your friend’s mums house? Looks like some some of flatbread? Looking at the photos, I am most interested to see the The Old Town Museum. I love that it gives visitors a trip down memory lane. I have always been fascinated with antique stuff and places that are seem to be trapped in time so yeah, this museum will be my first consideration if ever I get to Aarhus. Good choice Marge – we loved the museum! Aarhus looks thoroughly charming with its half-timbered houses. That street art is quite great too. Would love to see more of Denmark beyond Copenhagen so Aarhus will definitely go on my list. I love Denmark and after having been to CPH, I wanted to explore the other larger cities. I was going to study at the Aarhus University actually but decided on a school in Berlin instead. Definitely have to visit regardless! 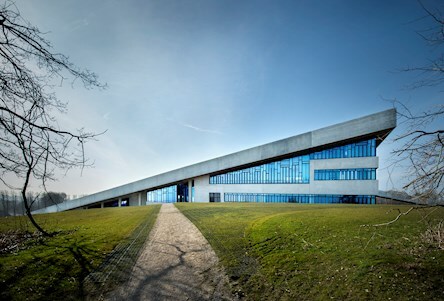 I would definitely be visiting Aarhus – not too far from Berlin either! 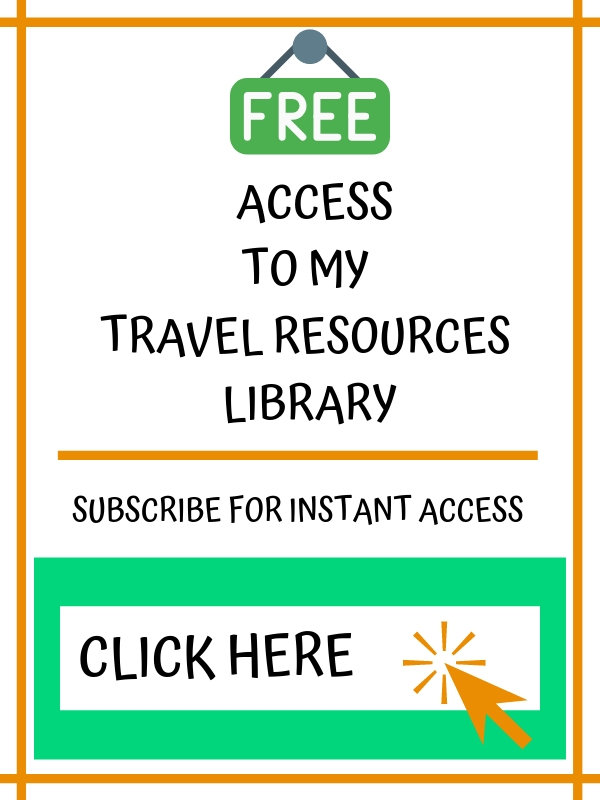 This is super useful since we are planning a trip to Denmark this summer! 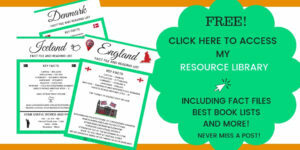 Super useful since we are planning a trip to Denmark soon! Thanks for the tips! Denmark is at the top of so many best-of lists! What are the rest of us doing wrong?? Haha I think I’m overdue for a trip for sure! I think I am going to have to live there at some point to find out what the secret is! I hope you get to visit one day as it is a lovely place! Funnily enough, the first European country I went to, was Denmark, because my dad had a work thing in Kolding. I was 15. It was a very long time ago. We did go to Aarhus. We remembered three things about it: the awesome Den Gamle By, and then having the *worst* fish and chips that could be imagined. Haha! And then winds so strong it literally nearly blew me away! I love discovering new cities! Thank you for the introduction! The street food scene looks incredibly enticing! Thanks for sharing! It’s good to read about somewhere other than Copenhagen in Denmark! Aarhus looks so peaceful, I would love the visit the palace! Haha yes – very lucky to have a Danish friend! I have known her for 27 years since we worked in France as au pairs! Aaarhus sounds really fascinating. No wonder it has been dubbed as the culture capital of Europe. The place is indeed a revelation for me. A great place to spend some time and get charged by the happiness around. Absolutely – it is a great city! Love my home country! Am taking the kids for thw first time this summer can’t wait ? It is lovely! Hope you have a great time! I stumbled on your site. My wife and I are going to Copenhagen Christmas week (5 nights) in 2018. It will be her 50th birthday. I love the idea of a day trip to Malmo. Is a day trip to Aarhus a reasonable option. I’m a big fan of European trains so I don’t mind the peaceful ride. I suspect we won’t have much daylight. Any other considerations you can think of?